This guide is going to show you how to create your product listing. 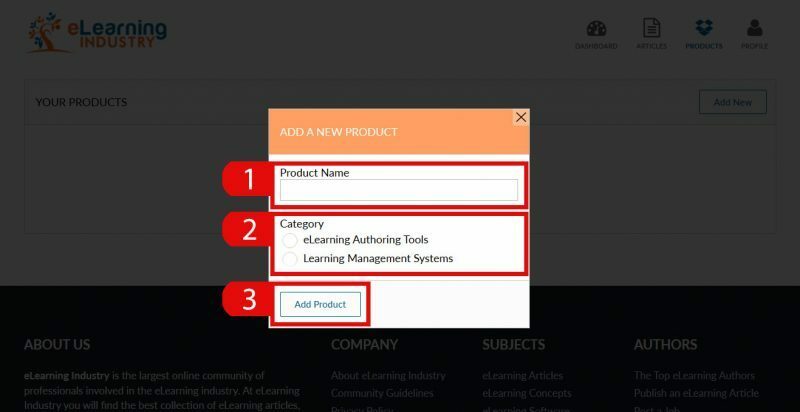 If you fancy the idea of creating your product listing on eLearning Industry, the largest and fastest growing independent online community for eLearning Professionals, read this guide and follow the steps described below. Navigate to the Product Listings Management Page. 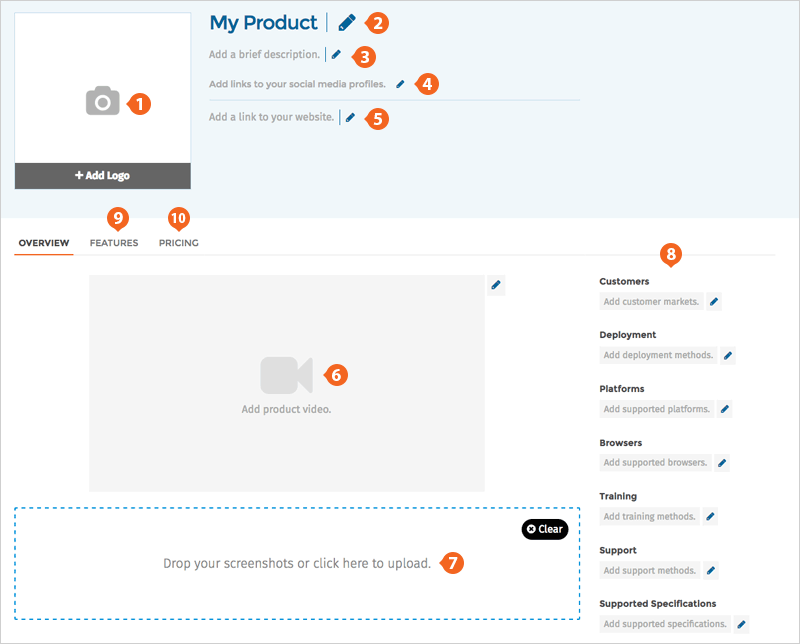 Click Add New in the upper-right corner of the products list to create a new one. In the popup window, enter the Product Name (1), the Category (2) and click on Add Product (3). Please note that the Category cannot be changed afterwards. You will then be redirected to the product listing editor. To see the corresponding fields of Features (8), Pricing (9) or Screenhots (10), click on the related tab. 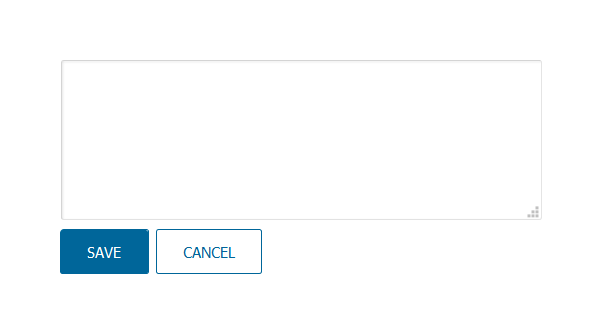 When you're done editing each field, click SAVE to save your changes or CANCEL to discard them. The completion meter at the bottom of your screen will be your guide to completion. You can click on "What is missing" at any time to see the sections that are still not complete. When the completion progress reaches 100%, simply click on “Submit for Review”. Once approved, your listing will be published. Learn how to view your Stats here.